In the recent months Armen Meschian Real Estate Agent Facebook page launched quietly. Though I have been active on social media for some time, managing. 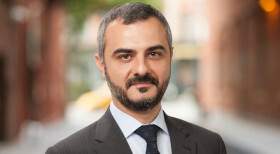 Armen Meschian and Armen Kojoyian were recognized among Top Brokers at CORE’s third quarterly function held at City Winery. I am thrilled to inform you that Related Companies, which is behind some of the city’s most high-profile projects, including the Time Warner Center and.